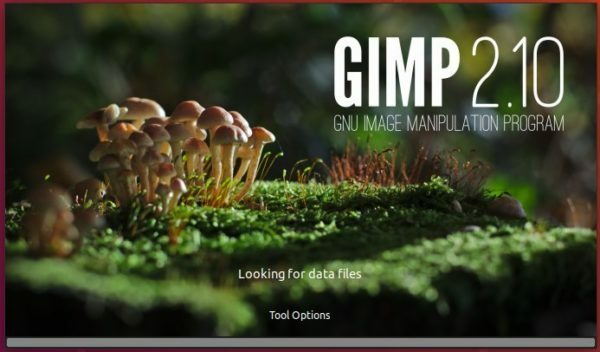 GIMP 2.10.10 packages will be available in both PPA repository and Snap store (CHECK the links before getting started) in a few days. 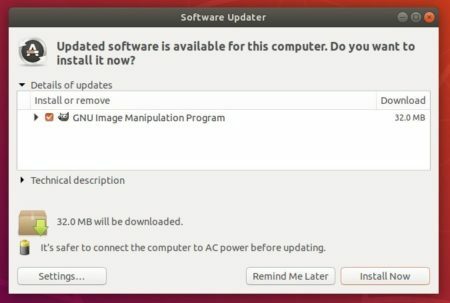 For Ubuntu 18.04 and higher, simply install the snap package from Ubuntu Software (See picture above). 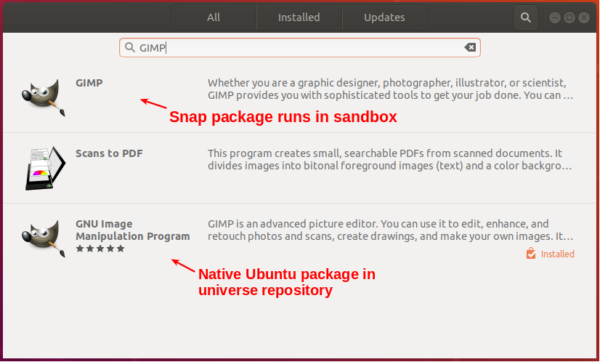 The snap co-exists with native Ubuntu package, you’ll have two GIMP icons in app launcher if both were installed. For Ubuntu 18.04 and Ubuntu 18.10, you can upgrade the native Ubuntu package using PPA repository. Type user password (no asterisk feedback) for sudo prompt and hit Enter to continue. After almost 3 years a new version of DeaDBeeF has been released. The last time I installed a GIMP snap package, the snap version could not read other drives other than the one the snap is installed it. Has this been fixed? I keep all my data files including all my photography in a separate drive from the one where programs are installed. Gimp could not see that extra drive to load files from. Had to abandon the snap package for this reason. Otto has not updated the PPA for Ubuntu 18.04 yet. Try re-install the snap in classic mode, it disables security confinement and allows to access outside of user home directory.